Are Tostitos Bad For You? - Here Is Your Answer. Are Tostitos Bad For You? Original Tostitos are bad for you when consumed regularly. They would be appropriate to consume occasionally for events, such as special gatherings with family or friends. Tostitos are a corn tortilla chip produced and sold by the Frito-Lay snack company. They are round chips made of white corn and measure about 1 1/3 inches in diameter. 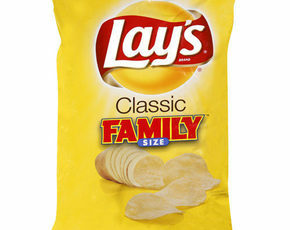 They were introduced to the Frito-Lay line of chips in 1980 and have become one of the most successful chips that Frito-Lay has ever produced. The secret to the success of Tostitos lies in the way they are made. The makers felt they had mastered the Mexican-style tortilla after mimicking authentic Mexican chip making. True Mexican tortilla chips are made with stone ground corn masa flour. This special masa is produced from white corn cooked with lime, and the lime is not completely rinsed off before drying the corn. 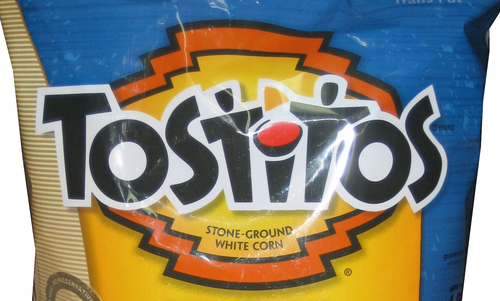 Once the dried corn is ground into masa flour and formed into a chip with water, sodium hydroxide in the frying oil reacts with the lime, resulting in the distinct flavor found in Tostitos. 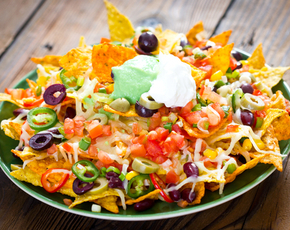 Tostitos are often enjoyed with salsa or cheese dip, especially at parties. Tostitos has catered to this use of their chips by marketing Tostitos “Scoops,” Tostitos chips formed into tiny bowls to make them more conducive to scooping up dip. 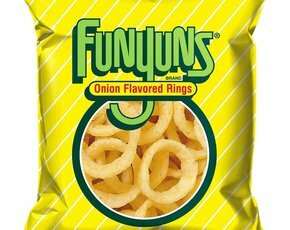 They also have Tostitos chips that are rolled up to make “rolls”, as well as several flavorings for traditional Tostitos, a nine-grain chip, and a variety of styles and thicknesses. 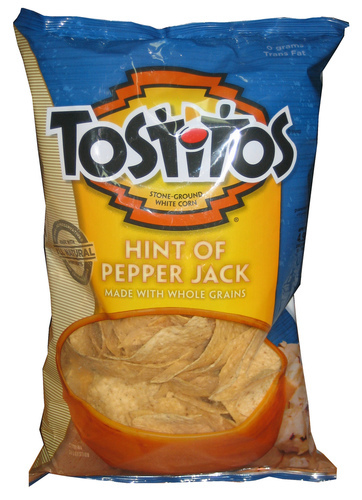 A big problem with original Tostitos, as with any corn chip, is the source of the corn. Most corn harvested and used by commercial food companies in the U.S. today is genetically modified (GMO). 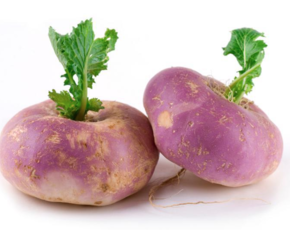 GMOs are organisms that have been genetically altered to withstand certain conditions, such as the ability to accept direct contact with pesticides. The natural diversity of organisms, which allows vegetation to adapt to new environments and last longer, is limited in the GMO process. Companies are not yet required to label their products as GMO or non-GMO, although many food companies are recognizing the trend and labeling their products anyway. However, there are some requirements in the GMO labeling that allow companies to have a certain percentage of GMOs and still label their product GMO-free. The best way to avoid all GMOs is to buy exclusively organic, as in order to be labeled organic, it cannot contain GMOs. GMO foods are strictly limited or even banned in Europe and many other developed nations including Japan and Australia. This is because GMOs are connected to health problems, environmental damage, and a violation of farmer and consumer rights. The Food and Drug Administration (FDA) tends to consistently deny the toxicity of products banned or given strict restrictions in other countries. These dangerous products remain on our shelves, often with unregulated labeling. There is no doubt that the FDA has outside influences affecting their decisions. Tostitos corn chips are made with high-glycemic white corn, greatly impacting blood sugar and can contribute to health problems related to high blood sugar, diabetes II, hypotension, obesity, and more. Tostitos contain low saturated fat, no trans fats, no preservatives, and only have three ingredients: corn, oil, and salt. 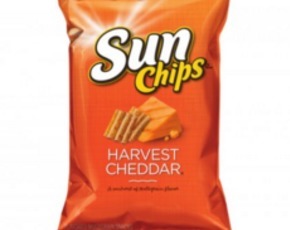 A serving of 7 chips has 140 calories. But this same serving has 18 grams of net carbs, placing a whole 18-ounce bag at around 325 carbs! There is no fiber in those 18 grams of carbs to redeem them. Instead, the full amount hits your blood sugar. The high level of salt can also contribute to hypotension and heart disease if consumed excessively. Even though Tostitos don’t have a lot of chemicals or bad fats, their high carbohydrate content makes them an unwise choice for a routine snack. Tostitos have recently come out with additional varieties including an organic, GMO-free blue corn chip. This is undoubtedly an answer to the outcry of the public. If you enjoying consuming Tostitos, this new product is an excellent alternative to the original version.